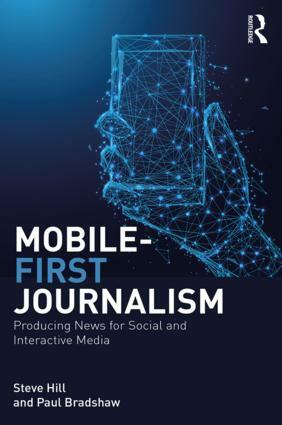 For the last two months I’ve been involved in an investigation which has used almost every technique in the online journalism toolbox. 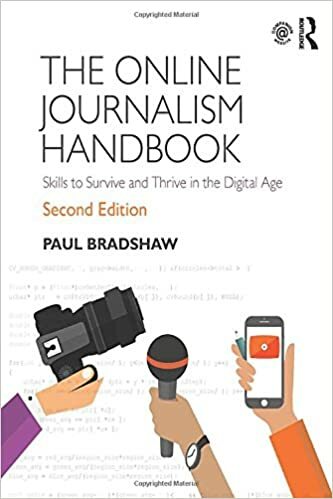 From its beginnings in data journalism, through collaboration, community management and SEO to ‘passive-aggressive’ newsgathering, verification and ebook publishing, it’s been a fascinating case study in such a range of ways I’m going to struggle to get them all down. The investigation began with the scraping of the official torchbearer website. 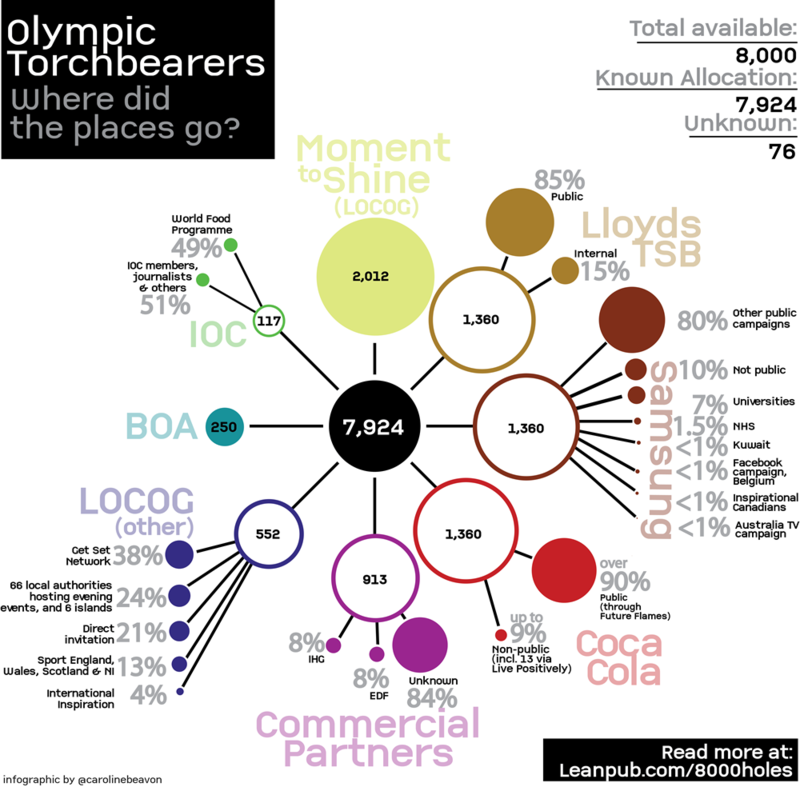 It’s important to emphasise that this piece of data journalism didn’t take place in isolation – in fact, it was while working with Help Me Investigate the Olympics‘s Jennifer Jones (coordinator for#media2012, the first citizen media network for the Olympic Games) and others that I stumbled across the torchbearer data. So networks and community are important here (more later). Indeed, it turned out that the site couldn’t be scraped through a ‘normal’ scraper, and it was the community of the Scraperwiki site – specifically Zarino Zappia – who helped solve the problem and get a scraper working. Without both of those sets of relationships – with the citizen media network and with the developer community on Scraperwiki – this might never have got off the ground. But it was also important to see the potential newsworthiness in that particular part of the site. Human stories were at the heart of the torch relay – not numbers. Local pride and curiosity was here – a key ingredient of any local newspaper. There were the promises made by its organisers – had they been kept? The hunch proved correct – this dataset would just keep on giving stories. The scraper grabbed details on around 6,000 torchbearers. I was curious why more weren’t listed – yes, there were supposed to be around 800 invitations to high profile torchbearers including celebrities, who might reasonably be expected to be omitted at least until they carried the torch – but that still left over 1,000. Overview (pivot table): where do most come from? What’s the age distribution? Focus on details in the overview: what’s the most surprising hometown in the top 5 or 10? Who’s oldest and youngest? What about the biggest source outside the UK? Don’t get distracted – pick a focus and build around it. This last point is notable. As I looked for mentions of Olympic sponsors in nomination stories, I started to build up subsets of the data: a dozen people who mentioned BP, two who mentioned ArcelorMittal (the CEO and his son), and so on. Each was interesting in its own way – but where should you invest your efforts? One story had already caught my eye: it was written in the first person and talked about having been “engaged in the business of sport”. It was hardly inspirational. As it mentioned adidas, I focused on the adidas subset, and found that the same story was used by a further six people – a third of all of those who mentioned the company. Clearly, all seven people hadn’t written the same story individually, so something was odd here. And that made this more than a ‘rotten apple’ story, but something potentially systemic. While the data was interesting in itself, it was important to treat it as a set of signals to potentially more interesting exploration. Seven torchbearers having the same story was one of those signals. Mentions of corporate sponsors was another. But there were many others too. That initial scouring of the data had identified a number of people carrying the torch who held executive positions at sponsors and their commercial partners. The Guardian, The Independent and The Daily Mail were among the first to report on the story. I wondered if the details of any of those corporate torchbearers might have been taken off off the site afterwards. And indeed they had: seven disappeared entirely (many still had a profile if you typed in the URL directly – but could not be found through search or browsing), and a further two had had their stories removed. Now, every time I scraped details from the site I looked for those who had disappeared since the last scrape, and those that had been added late. One, for example – who shared a name with a very senior figure at one of the sponsors – appeared just once before disappearing four days later. I wouldn’t have spotted them if they – or someone else – hadn’t been so keen on removing their name. Meanwhile, the number of torchbearers running without any nomination story went from just 2.7% in the first scrape of 6,056 torchbearers, to 7.2% of 6,891 torchbearers in the last week, and 8.1% of all torchbearers – including those who had appeared and then disappeared – who had appeared between the two dates. Many were celebrities or sportspeople where perhaps someone had taken the decision that they ‘needed no introduction’. But many also turned out to be corporate torchbearers. By early July the numbers of these ‘mystery torchbearers’ had reached 500 and, having only identified a fifth, we published them through The Guardian datablog. There were other signals, too, where knowing the way the torch relay operated helped. For example, logistics meant that overseas torchbearers often carried the torch in the same location. This led to a cluster of Chinese torchbearers in Stansted, Hungarians in Dorset,Germans in Brighton, Americans in Oxford and Russians in North Wales. As many corporate torchbearers were also based overseas, this helped narrow the search, with Germany’s corporate torchbearers in particular leading to an article in Der Tagesspiegel. I also had the idea to total up how many torchbearers appeared each day, to identify days when details on unusually high numbers of torchbearers were missing – thanks to Adrian Short – but it became apparent that variation due to other factors such as weekends and the Jubilee made this worthless. However, the percentage per day missing stories did help (visualised below by Caroline Beavon), as this also helped identify days when large numbers of overseas torchbearers were carrying the torch. I cross-referenced this with the ‘mystery torchbearer’ spreadsheet to see how many had already been checked, and which days still needed attention. But the data was just the beginning. In the second part of this case study, I talk about the verification process, SEO and collaboration. This entry was posted in online journalism and tagged 8000 holes, adidas, adrian short, caroline beavon, Der Tagesspiegel, Guardian, help me investigate, Jennifer Jones, Olympic torch relay, olympics, torchbearers, Zarino Zappia on August 2, 2012 by Paul Bradshaw. This entry was posted in blogging, data journalism and tagged 8000 holes, adidas, adrian short, caroline beavon, Der Tagesspiegel, Guardian, help me investigate, Jennifer Jones, Olympic torch relay, olympics, torchbearers, Zarino Zappia on August 2, 2012 by Paul Bradshaw.